As an Abyss candidate, you'll get opportunities that you simply can't get from training with another dive shop both during and after your graduation. Training options like a 2-week dive industry experience trip to Great Barrier Reef, scuba service technician, rebreather and technical diving training are some of the ways you can tailor your program. Abyss graduates have been placed all over the globe, from full-time dive resort managers and dive company owners, to dive instructors who travel and work around the world. You will have a world of opportunities working at some of the most amazing destinations in the world. All our candidates get to use our Job Assistance Program when they graduate to help secure work anywhere in the globe. If you are serious about making scuba diving your career then Abyss Scuba Diving in Sydney is where you need to start. Contact our Careers Development Staff on internships@abyss.com.au to make it all happen. 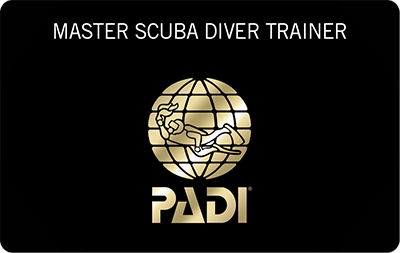 Master Scuba Diver is PADI's highest nonprofessional recreational diving certification. This is what the best of the best reach for, because the dive possibilities are endless. Prestige isn't easy to earn, but it is certainly well worth it. As a Master Scuba Diver, you'll have a whole new level of training and experience. So add this option to your internship and as well as becoming a PADI Master Scuba Diver you will be trained to be a PADI Enriched Air Diver, PADI underwater navigation specialist, PADI Search & Recovery specialist, a PADI Equipment Specialist as well as obtaining your PADI Peak Performance Buoyancy speciality. Diving equipment plays an important role in your success as a diving professional. If you have any questions on equipment please don't hesitate to contact an Abyss Staff Member on dive@abyss.com.au or +61 2 9583 9662. We do have full required equipment packages starting at $2392. We have accommodation available for all our candidates which is available over the duration of your program. The accommodation is located 10 minutes walk from the dive center. Candidates are advised to arrive in Sydney a few days prior to the start of their program to settle in prior to the start of their program. Costs are only during the set time frame of your internship. * Twin share rooms may be co-ed when numbers dictate. Internship deposits are non-refundable and help cover the costs associated with the substantial amount of resources that go into booking and planning your internship. Deposits also cover the cost of any sent PADI e-learning and digital PADI Materials, which are non-refundable once sent to your email account. Once a Deposit is made your position on the Internship is secured and locked in, which means that other candidates are unable to take your place.